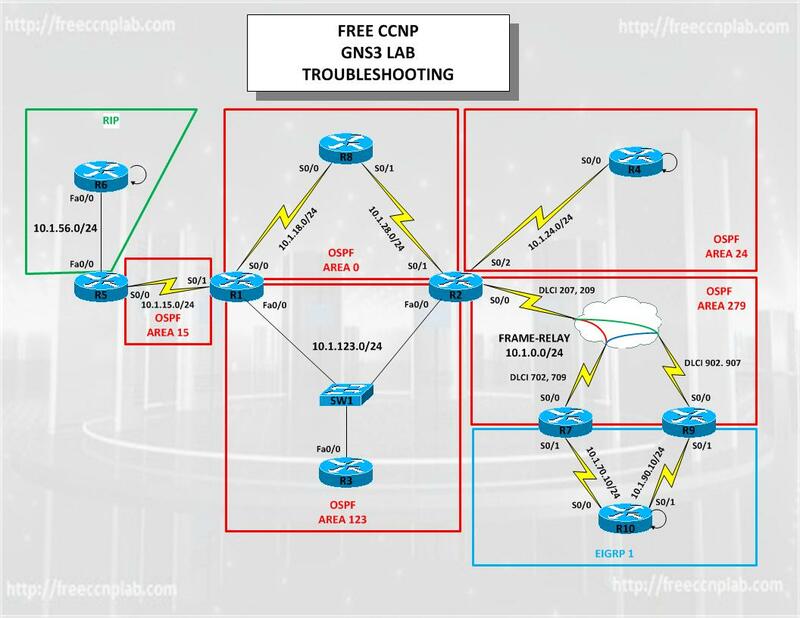 So far most of the labs provided on this site have been geared to preparing you for the CCNP routing and switching exams. These exams certify you have a complete understanding of routing and switching technologies, although to be certified as a CCNP you still need to pass the Troubleshooting and Maintaining Cisco IP Networks exam. The exam will certify that the candidate has the knowledge and skills necessary to (1) plan and perform regular maintenance on complex enterprise routed and switched networks and (2) use technology-based practices and a systematic approach to perform network troubleshooting. Use a systematic approach to perform network troubleshooting. Plan and perform regular maintenance on complex enterprise networks. Read and understand trouble tickets. Find and repair break-fix issues. Find and repair performance issues. The following trouble tickets are provided to help you study for the Troubleshooting and Maintaining Cisco IP Networks exams. Note: NO change what-so-ever are needed on R6 and R10. R1 is not using the optimal path to reach the network 10.1.24.0 and 10.1.0.0. -If required, two IPs from the range 11.0.0.0/24 can be used. -No changes in BW and cost allowed. IP sla is configured on R2 to monitor the reachability to 60.1.1.1. There are packets drops as the track state is going up/down intermittently. Troubles shoot and rectify the problem. R3 and R1 are receiving the external routes from R6 but the ping is failing. R8, R4 are still unable to ping 6.6.6.6, No changes on R1 allowed. nothing for object 1 ?